Around a third of the food we eat is estimated to be dependent on insect and bee pollination. In providing this pollination service, bees literally contribute billions in cash to the world economy. This article is about the cash value contribution of bees to pollination services, and the importance of different types of bees species (e.g. 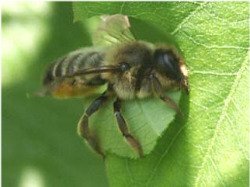 leafcutter bees, mason bees, honey bees and bumblebees) to pollination and the food chain. If you'd like to know about the pollination process, please visit this page. If you'd like to know how different bee species gather pollen, please go to this page. 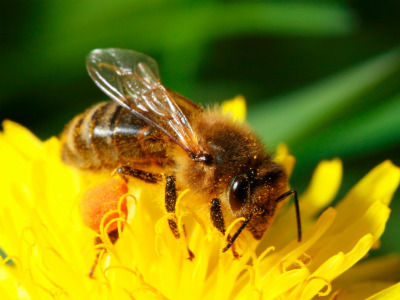 So How Much Is Bee Pollination Worth To The Global Economy? In fact, as I write this in October 2010, the United Nations have just published a report, in which they place a value on insect pollination at £134 billion (153bn Euros). Source: cited in Bumblebee Behavious and Ecology, by Professor Dave Goulson, 2003. It's ironic that many farming policies are contributing to the demise of insects upon which the success of their crops depend! When you consider how intricate the web of life is on this earth, the value of bees and other insects to the eco-system is obvious. They’re not only pollinating much of the food that we eat, they are also ensuring the future generations of all kinds of plants that in turn support other species. And so I think that focusing on monetary value underestimates the wider importance of insect and bee pollination, to the environment, people, other living creatures and the environmental stability of the planet as a whole, though I fully appreciate why it is done. I'd like to see more education and empathy for the importance of biodiversity for its own sake, not merely its direct usefulness to humans. I'd also like greater recognition among those who make the rules and farm our lands, that this ecosystem is an inter-related web of life, a giant super-organism, with all the different species playing their role and affected by the other creatures, all of which are doing their bit! We tend to think of bees pollinating flowers and crops, and yet we easily forget about trees. Whilst some trees are able to self pollinate, and others are pollinated by wind, others rely on insects. For example, chestnuts, fruit trees, many nut trees, cotoneasters among many others, are pollinated by bees. Let’s remember that trees are the lungs of the earth – so bees probably help us breathe too! And these trees provide important food and habitat for many creatures, which play a role in the food chain. 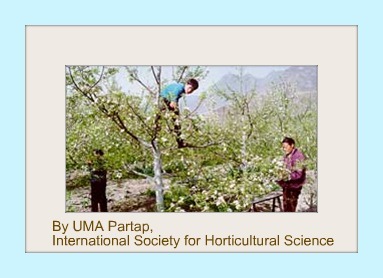 Well, I suppose instead of bee pollination, there’s always artificial pollination (or hand pollination) by humans – this is what the people in certain areas of China are doing in their apple and pear groves, having reportedly driven out the local pollinating bumblebee species with pesticide use. Honey bee pollination was attempted but was unsuccessful. Beekeepers are reportedly hesitant to rent their bee colonies because of excessive use of pesticide sprays on apples and pears. Artificial pollination is now a major undertaking, involving whole families - see the photograph below. In the west, bee pollination is free when left to the wild bees, or is available through renting or purchasing colonies of bees - at least for now. It's pretty obvious that many species (and not just humans) rely on insect pollinators to ensure plants provide seeds, fruits and nuts they are able to eat. Indeed, grazing crops such as clover, are pollinated primarily by bees. In such circumstances, bees ensure the clover sets seed, so that new clover plants can grow and be eaten by cattle. Bee Pollination – How Does it Work? So how do bees pollinate? I have a whole page explaining the plant pollination process. 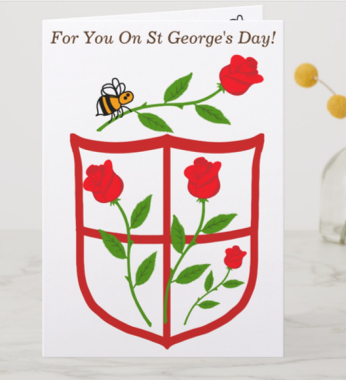 However, to describe briefly here, bees pollinate by carrying pollen on their bodies from the male part (the ‘stamen’) of one flower to the female part (the ‘carpel’) of another flower. There is a wide range of books about pollination available, with lots of details. 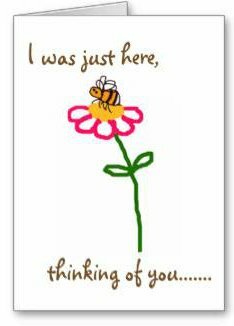 Do Bees Other Than Honey Bees Pollinate? Some different types of bees are more efficient than others for pollinating particular plants. If we take the time to observe what is happening in our gardens, we may see several different bee species pollinating our flowers, including various bumblebee species, but also solitary bees, such as leafcutters, mining bees, carpenter bees or mason bees. Honey bees are primarily used for commercial pollination of crops - (read more here) but increasingly, other types of bees are now being used too - and are being reared commercially. If agricultural landscapes are managed in harmony with nature, I believe it will pay us back, by pollinating our crops naturally by supporting insect populations. My concerns currently are about agricultural systems that promote pesticide use and GMOs as well as habitat loss. If you have read my page about bumblebee pollination, then you'll know I'm concerned about bee-welfare - as well as that of other insects and living creatures. I worry our practices are short-termist only, and are harmful to wildlife. The commercial rearing of native bees, (rather than using introduced, or non-naturalized species) to provide farmers with a pollination service, may seem like a good idea - and yes, it has merits, because it is a bad idea to bring in non-native species that could transmit new viruses and diseased to which the native species have not built resistance. But for me, it is also like covering up the cracks in the wall, rather than dealing with the issues causing the problems at the foundation of the building. First, I think we need to address the problems that are causing bee decline, before we start tinkering with other native bee species. Also, I feel we should never forget the importance of honey bees. Read my page here about why honey bees matter. To read more about some of the independent studies into pesticides, click here. But for now, let’s take a look at other types of bees and pollination. These types of bees are extremely efficient pollinators. This family includes mason bees and leafcutter bees. Some are used in commercial pollination, such as Alfalfa leafcutter bees (Megachile rotundata), and Osmia lignaria (the "Orchard Mason Bee" or "Blue Orchard Bee"), which is especially sold for use in orchard crop pollination. According to the U. S. Department of Agriculture researchers, only 250 female blue orchard bees (Osmia lignaria) are required to pollinate an acre of apples - a service equivalent to one or two honey bees hives, each containing 15,000 to 20,000 workers (Bosch and Kemp, 2001). It's possible to farm in harmony with nature, attract these bees to the land, which is better for crop yields. 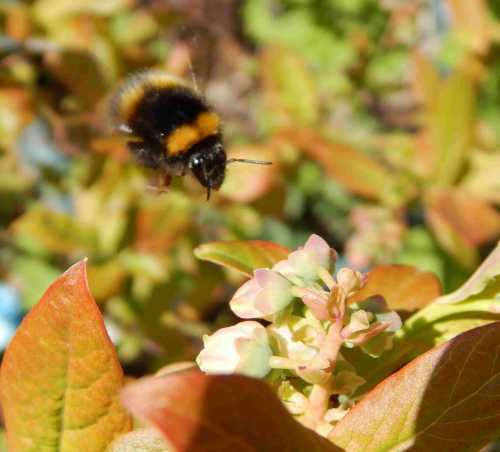 Bumblebees love foraging on blueberries. They simultaneously pollinate the flowers which ensures the bush produces more fruits. Bumblebees are also used for commercial pollination of crops, although farmers can attract them naturally to their land by using wildlife friendly farming techniques, such as allowing areas of meadow, maintaining pollinator margins and so on. Some plants require ‘buzz pollination’ – this is especially important for crops such as cranberries and blueberries. Bumblebees are very efficient ‘buzz pollinators’. Additionally, different types of bumblebees have different tongue lengths, and so bumblebees as a whole will tackle a wide variety of plants. 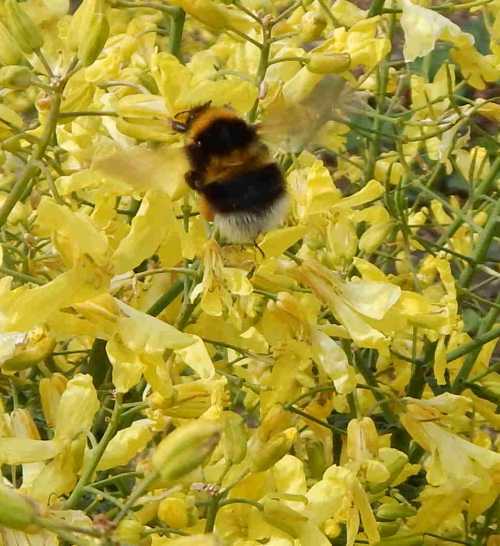 Read more about bumblebee pollination. That honey bees are widely used for pollination is well known. Indeed, we rely on honey bees for the pollination of certain crops, such as almonds. I won’t go into detail on this page, since I have a further page about honey bee pollination here. Problems have been highlighted around the consequences of transporting commercially reared bees to areas outside of their native ranges, and the impact on indigenous species. Read more here (opens new window). The excellent Xerces Society has also produced a wonderful guide for farmers wishing to encourage and establish native bee populations on their farms. There is a link to this report at the bottom of this page. It is claimed that Albert Einstein is said to have estimated that humans would have only 4 years to live if bees disappeared from the planet, although, having investigated this claim, I can find no evidence that he actually said it. It seems that a number of distortions have occured through time, probably from a quote not even attributable to Einstein anyway. There are similar claims made about the American naturalist, E. O. Wilson, however, a fuller investigation (including what he actually said) can be found here. However, I think it is also important not to underestimate the potential problems that could be caused, especially when we are dealing with the unknown. If something is negatively affecting bees, it's probably having a detrimental effect on other invertebrates too, and in turn, other wildlife. If we humans are causing the problems, we surely need to do something about it. I think we humans do not fully understand the intricate web of life that exists on this planet. Simple things are too easy to overlook, others have probably not been discovered as yet. Plant life in the sea has only recently been proven to be important to the quality of the very air we breathe. So what else is out there waiting for us to discover, and what if it provides some vital link in the chain – and then what if it happens to be rely on bees or other pollinators? We are dealing with many unknowns here! The good news is, everyone can do something to help bees. There are 10 simple things listed right here. Together, we can make a crucial difference. It has to start with individuals, like you and me. Hey, if making a difference doesn’t start with individuals like you and I, then who will it start with? !